Artyfarty Designs - design and make a wonderful range of home accessories chalkboards, peg racks, key racks and tissue box covers. 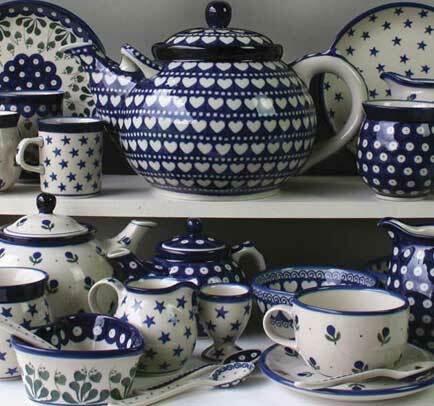 We have been importing this wonderful range of Polish stoneware since 2012 and all of our pottery is made at the world famous Ceramika Artystyczna pottery works in Boleslawiec Poland. The pottery is Oven/Aga/microwave & dishwasher safe it is extremely hard wearing and chip resistant, it is designed and made to be used every day. The pottery is fired twice at 1250 centigrade so can withstand all oven temperatures- (oven to table) There are so many patterns to choose from and you can mix them up to create a beautiful eclectic table setting or stick to one or two designs.